The Central Avenue Dance Ensemble of Los Angeles, California is a non-profit organization founded in the year 2003. This 12-member company is dedicated to preserving and promoting the contributions of African American dance and movement that was incorporated in the ballroom and social dances in American popular culture. This dynamic troupe has entertained at numerous local events including A Tribute to Katherine Dunham, A Tribute to Norma Miller (was also performed in Minneapolis, MN), and the African American Music Festival at UCLA. Television appearances include Disney’s That’s So Raven, HBO,s Golden Globe, SAG and Emmy award winning Lackawana Blues and Oprah Winfrey’s production of Their Eyes Were Watching God starring Halle Berry. To further their goals in promoting, educating and entertaining audiences in African American dance and dance history, The Central Avenue Dance Ensemble is producing a 2-hour multimedia concert with the working title of The History of Black Dance in America. The History of Black Dance in America will be a multimedia dance show which presents the history of African and African-American inspired dances that have been popularly danced in the United States. This retrospective begins with a dance from Africa, moves to the plantation dances of slaves in America, continues with the work songs and spirituals of the reconstruction era. At the turn of the 20th Century, there are the early ragtime dances which give way to the Charleston in the 1920s, which begat the Lindy Hop and Swing dances of the 30s and 40s. Also, in the 1940s and 50s we see the introduction in America of African inspired Latin dances: Rumba, Samba, Cha Cha and Mambo. In the 1950s, Swing morphs into Bop, then slowly loses favor with the American public as the popular music begins to change again. We get a series of fad dances in the 1960s, but in the 1970s, a new form of Swing develops: Disco Dancing (Hustle). Also in the 1970s, we get a new form of Mambo: Salsa. Campbell Locking is also developed in the 1970s. This form of body popping/locking continues to develop through the 1980s, first in Break Dancing, then into a new form of dance called “Hip Hop”. There are also during this period a whole range of new fad dances which are danced primarily in Black communities across the United States and broadcast to the world via a television program called “Soul Train”. At the turn of the 21st Century, we have dances that have evolved from Swing danced primarily by middle-aged American Blacks: Detroit Ballroom and Chicago Style Step. There is also a very strong resurgence of perhaps the oldest non-ballroom social dance: Argentine Tango. 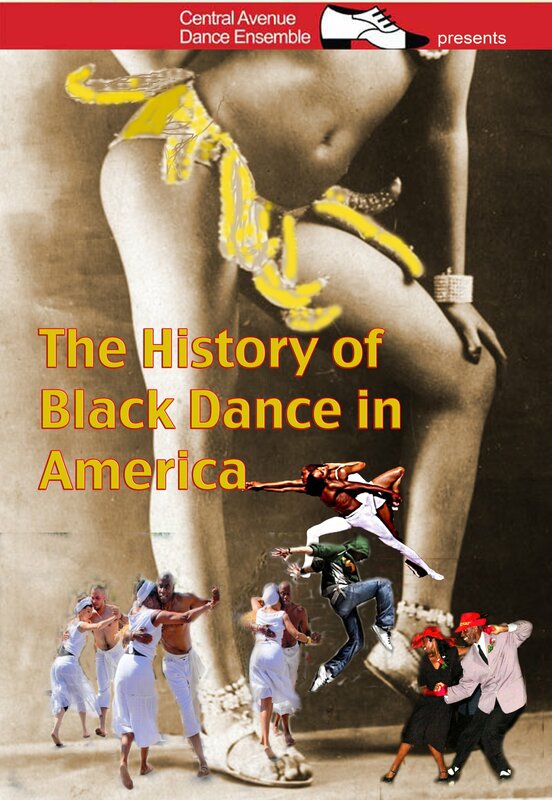 The goal of the History of Black Dance in America will be to educate the general public on the history of these dances in an exciting and entertaining way. This is a very important national work because while many of these dances are recognized as an intregal part of American history and culture, very few Americans have ever seen them danced live, and fewer still actually know the history. For example, while many people may have heard of the cakewalk, few have ever actually seen it danced, and fewer still realize that it began as a plantation dance danced by slaves to mimic high society Whites. The dance was so amusing that plantation owners held competitions, and the winning slaves would receive cake as their prize. Thus the name “Cake Walk”. Also, while there is debate as to whether it was Harry Fox or Vernon Castle who introduced the “Foxtrot” dance, there is no debate that the man who arranged the Foxtrots for the Castles (who ultimately popularized the dance in the United States) was James Reese Europe, a Black American and World War I veteran. Most of the dances to be presented in this show are social dances. That is, they were, and some still are, danced socially by Americans. Taking advantage of the high interest in social and vintage dancing in the United States today, the History of Black Dance in America program will include a series of workshops designed to teach these dances before the performance. The primary creative artists involved in this project are: Chester Whitmore, Lance Banishek and Ron Parker. Mr. Whitmore, the Director and Lead Choreographer, is a master choreographer, dancer and band leader with a 30 year history of successful projects. He created the first “History of Black Dance in America” program back in 1980 that toured the world for 18 years. Lance Banishek, Choreographer, is a nationally recognized dance historian and master in the area of vintage dances. He will assist with historical accuracy. Ron Parker, Assistant Choreographer and Dance Captain, is a Ballroom dancer and instructor as well as dance historian. He will focus on the Ballroom dances as well as making sure the overall instruction moves smoothly and on schedule. See the "History of Black Dance in America" promo video here.